This invitation-only evening was made possible by sponsors including the new Chase Sapphire Reserve SM credit card, Movado watches, and Sterling Vineyards. Celebrities enjoyed cocktails, food, and dancing at the open air venue featuring picturesque views of the Los Angeles. 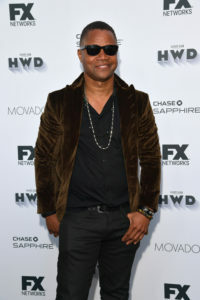 FX Networks show talent in attendance included John Travolta, Sarah Paulsen, Cuba Gooding Jr., Courtney B. Vance, David Schwimmer, Sterling K. Brown, Connie Britton, Bruce Greenwood, Malcolm-Jamal Warner, Kenneth Choi, Ryan Murphy, Kathy Bates, Matthew Rhys, Keri Russell, Margo Martindale, Holly Taylor, Keidrich Sellati, Alison Wright, Annet Mahendru, Costa Ronin, Lev Gorn, Donald Glover, Jesse Plemons, Kirsten Dunst, Bokeen Woodbine, Rachel Keller, Brad Garrett, Zahn McClarnon, Angus Sampson, Allan Dobrescu, Noah Hawley, Louie Anderson, Matt Thompson and more, where among the attendees! Photos by Michael Kovac/Getty Images for Vanity Fair.